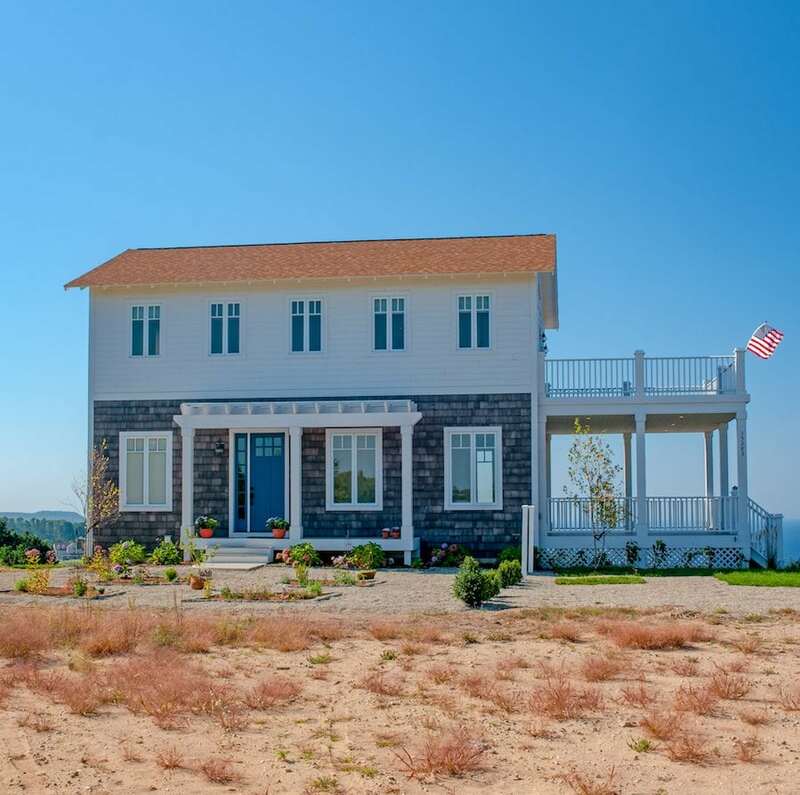 Having it all just may be a rolling dunescape, a world-class golf course and a view of Lake Michigan in your front yard. All of that and a perfectly thought-out, not-so-big home in Arcadia, Michigan. 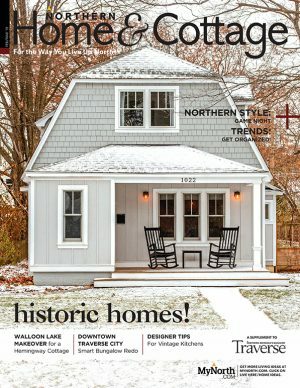 This story is featured in the December 2018 issue of Northern Home & Cottage. Christal McManus was raised in Indiana, not far from Lake Michigan and as long back as she can recall, she says, “Lake Michigan was at my core.” As an adult, her work took her to Memphis, Tennessee, far away from those sparkling, freshwater shores. Christal learned to love Memphis, and even more so, her husband, Steve McManus, whom she met there. The couple had a big, busy life in Memphis—children, careers (including his as a state representative for 10 years) and a roomy house filled with French country antiques. Years ago, the couple began planning for when the kids were raised and they could carve out a simpler lifestyle around the outdoor activities they both adore. 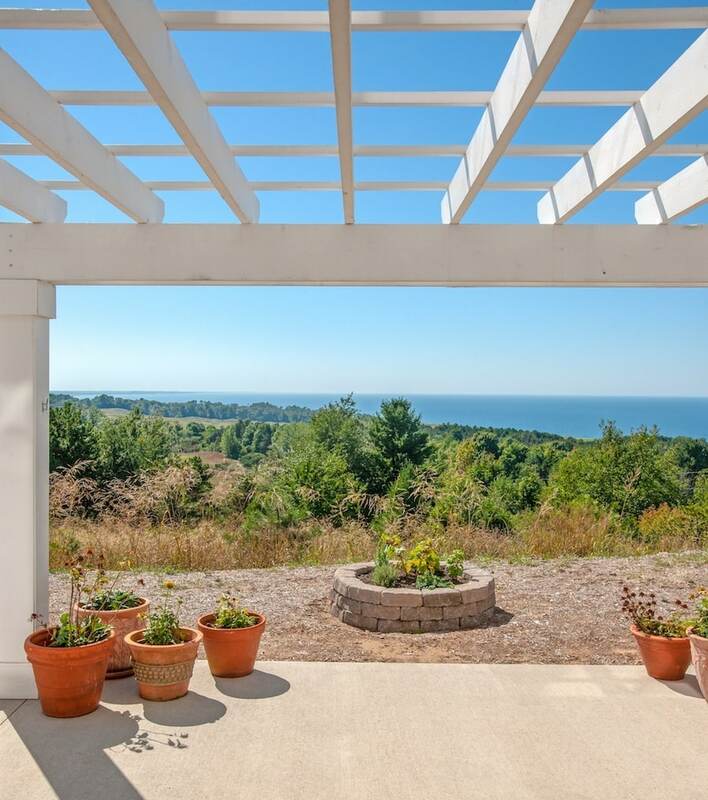 Steve bought into Christal’s Lake Michigan passion, and the McManuses began property-scouting trips along the eastern Lake Michigan shore from St. Joseph all the way up to Harbor Springs. Christal did her homework first, scouring the Internet for interesting properties. One standout was a lot that was just south of the tiny town of Arcadia on M22. 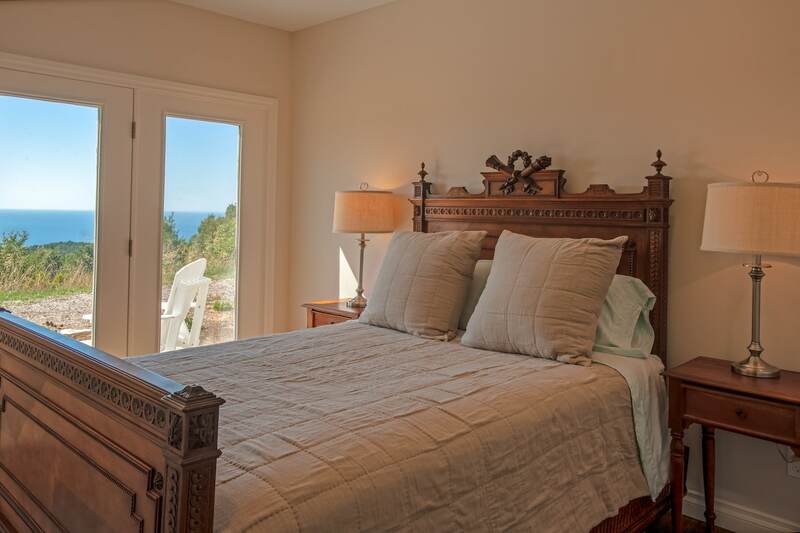 Situated atop a bluff that crests 450-feet above Lake Michigan—the property is surrounded by a dramatic, windswept scrubby-dune landscape that reminded the couple of the Irish coast, a place they both love, and that Steve, particularly, feels a strong connection to as he has family in Ireland. They visited on a summer day nine years ago, and, yes, the property was as beautiful as the neighbor who was selling it had promised. 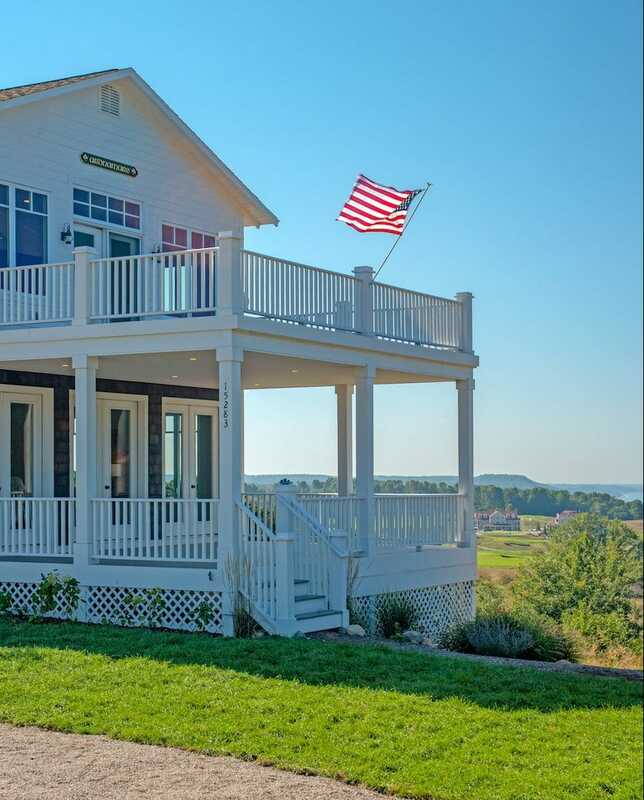 The fact that the only development in sight was (and still is) the spectacular Arcadia Bluffs Golf Club upped the deal for Steve, an avid golfer. Eventually, she came across plans for a not-so-big home in Seaside, Florida, with a layout that captured her attention for the way the home’s functional spaces—foyer, stairways and bathroom—were tucked into the back, leaving the view wide open to the living areas. But on the exterior, it was a 1930s Swedish Classic Gothic—hardly the “Nantucket-meets-farmhouse look” look that she and Steve thought would fit well with the site. 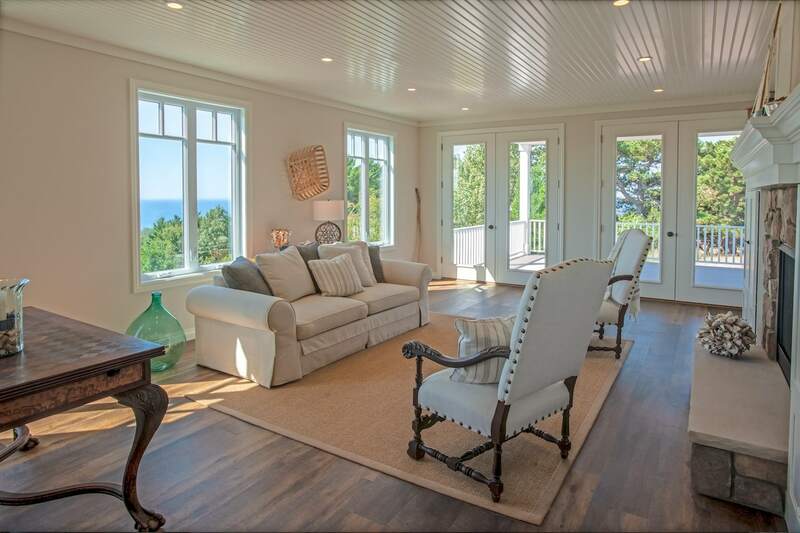 The McManuses sent the plan to their builder, Silverwood Enterprises in Traverse City, whose team, led by Silverwood’s founder and president Kendall Smith, transformed it into a Northern Michigan coastal home with everything the couple wanted. Off went the Gothic embellishments, on went cedar shingles, white clapboard and simple, classic porch railings. Interior alterations included removing an elevator to make room for an upstairs home office and opening the kitchen to the living area. Silverwood’s field supervisor, Matt Nemode, worked closely with Christal to custom design and build a fireplace mantel, face and coordinated cabinetry that anchor the room in traditional cottage style. For the kitchen design, the Silverwood team recommended MasterCraft Cabinets whose designer, Bonnie Woolsey, took the lead from the creamy white fireplace mantel and designed custom creamy white kitchen cabinetry, and a three-paneled range hood that mimics the living area’s fireplace chaise. 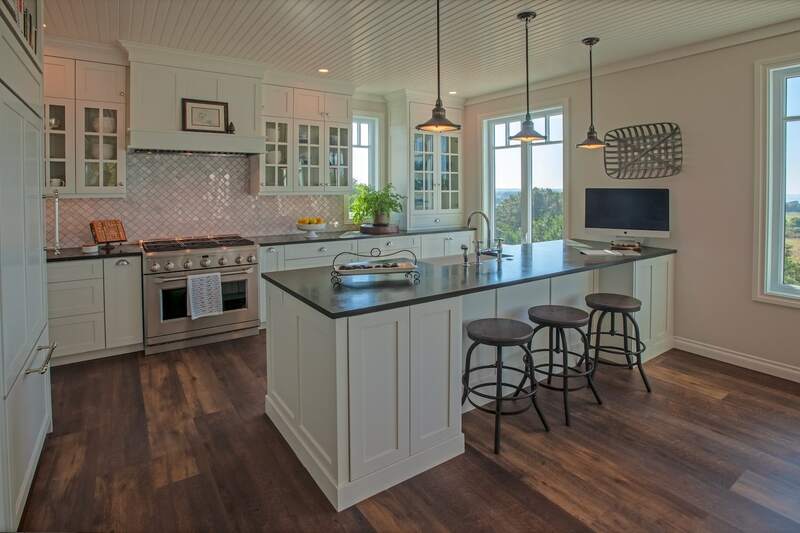 Black soapstone countertops and a Carrera marble backsplash add effortless sophistication. Bonnie’s resourceful and creative touches are found throughout the home, including the stunning coral-toned marble countertop in the master bath—a slab she discovered across the state in Flint. Kendall didn’t sign off on the project until he was sure the home could stand up to Northern Michigan winters and the year-round winds off Lake Michigan. 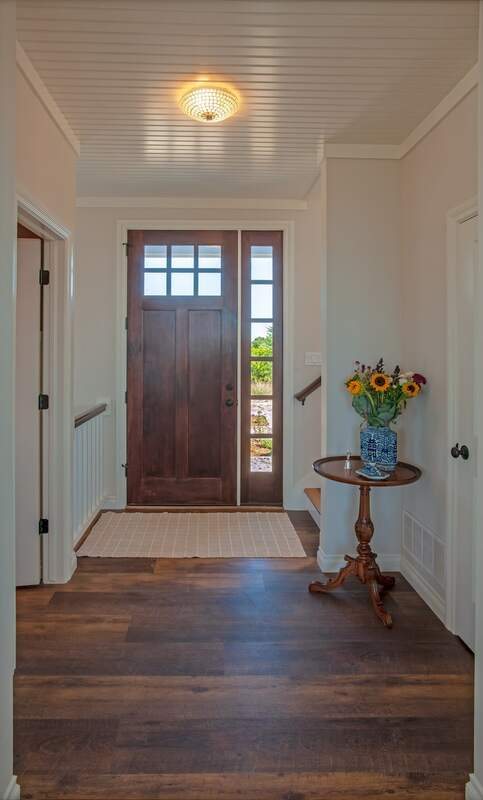 Among his recommendations—welcomed and inputted by the McManuses—were modified French doors at the walkout level where the wind blows toward the house. While the doors look like the real thing, they only open on one side to help block wind gusts when they are opened. Kendall also altered the design of the two-tiered deck to accommodate snow and water runoff. Additionally, he assisted Christal in the window selection. She chose extra long windows with two panes at the top, a cottagey touch. Kendall approved of the windows’ engineering—the harder the wind blows the tighter their seal. 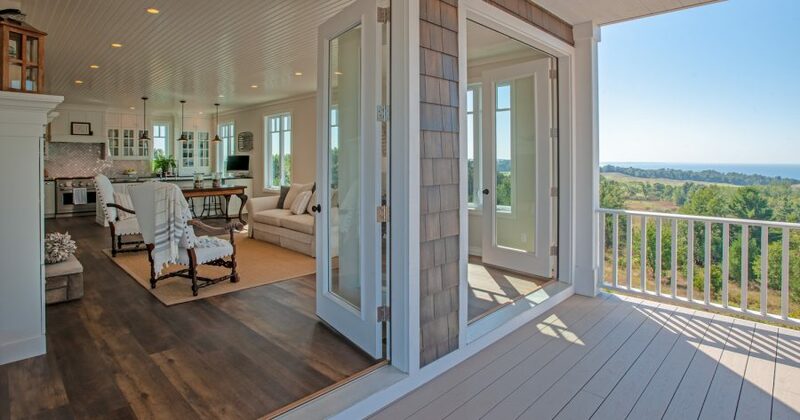 The home, finished this past summer, is sublimely suited to its site and to the couple who are enjoying it immensely. 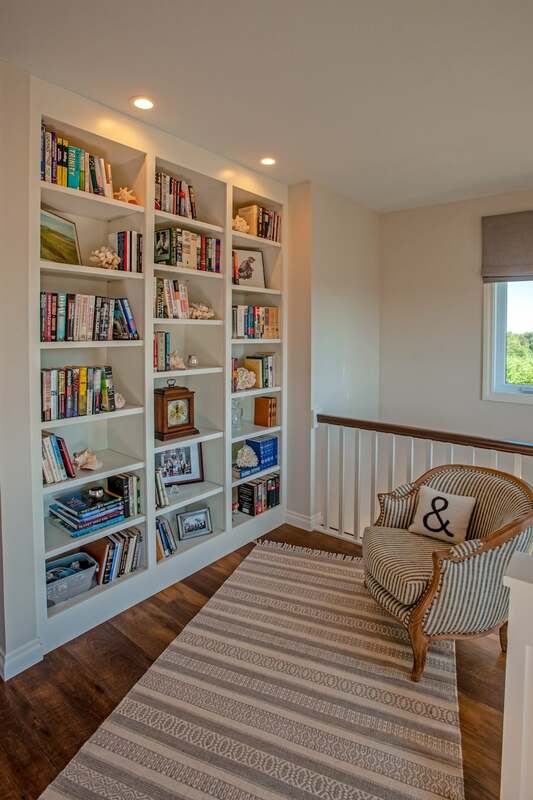 The diminutive 936-square-foot footprint rises from a walkout level finished with two guest suites, the main level houses the kitchen and living area and the third floor is devoted to the master suite and gem-sized library/office. The interior style is a perfect balance of Christal’s carefully curated French antiques and a relaxed coastal vibe enhanced by fabulously understated Benjamin Moore wall colors: Pale Oak on the main level; White Sand in the master suite and Sailcloth on the walkout level. All the trim, including the fireplace mantel and face is White Dove. The serene wall colors are the backdrop for the incredible view of dune grass, small-but-resilient trees and seemingly endless water that envelops the home. Christal’s craving to be near Lake Michigan is more than sated and, to make so many great things better, Steve’s Gaelic-soul is delighted by the haunting strains of bagpipes that float across the dunescape, courtesy of the bagpiper who plays many summer evenings on the grounds of Arcadia Bluffs Golf Club. All of which spells out the reason for their home’s name, Ardnamare. Christal came up with the idea for the name when she and Steve visited Ireland in 2014. In Gaelic, Ard means a high grassy hill, Na means near and Mare is the sea. Christal’s parents gifted them the quarterboard (a ship’s sign) with the name in Gaelic-style letters that is now mounted on the front of the house that stands in dune grass and looks out on a freshwater sea. Have a renovation project you’ve been wanting to tackle? Building a new home? Find the right person for the job in MyNorth’s Home Services Directory. 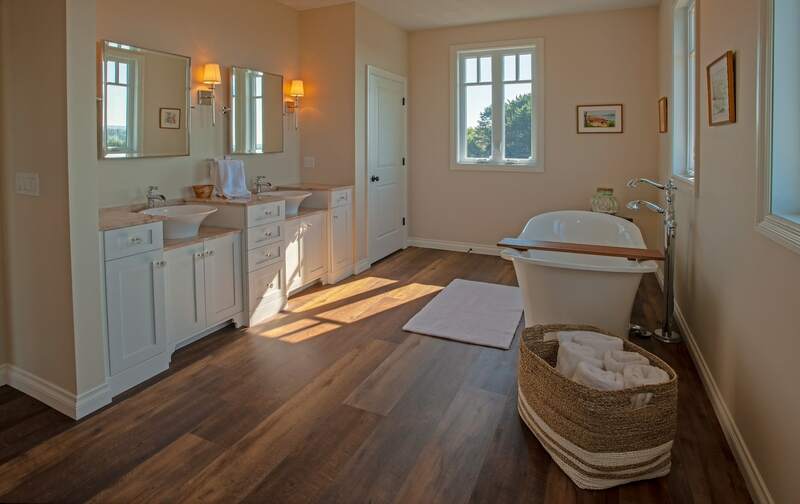 Read Northern Home & Cottage for more design inspiration. Click the cover to open the latest issue.